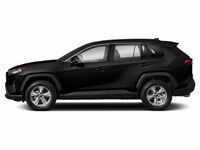 Athletic, dynamic and attractive, the one-of-a-kind 2019 Toyota C-HR subcompact crossover is a fan favorite at Downeast Toyota. Armed with a cutting-edge design that is underscored by a next-generation style, the arrival of the Toyota C-HR took the automotive world by storm. Learn more about this automotive masterpiece at Downeast Toyota with a 2019 Toyota C-HR vs 2018 Ford EcoSport comparison that pits two brand-new entries in the segment against each other. Drivers who choose the 2019 Toyota C-HR at Downeast Toyota will enjoy a refreshed model lineup that provides car shoppers with three trim levels – LE, XLE and Limited – that can be tailored to fit your lifestyle. Toyota C-HR entries make room for five passengers in a fully-loaded cabin that provides 83.8 cubic feet of passenger space and comes standard with 17-inch steel wheels, automatic headlights, LED Daytime Running Lights, dual-zone automatic climate control, a rearview camera and an 8-inch Toyota Entune™ 3.0 touchscreen infotainment system with access to Apple CarPlay. What Are the Differences Between the Toyota C-HR and Ford EcoSport? Armed with a wealth of standard next-level features and technology on the spec sheet, the Toyota C-HR promises exceptional value in this 2019 Toyota C-HR vs 2018 Ford EcoSport comparison with a price that starts at $20,945. Despite a base MSRP that starts at $19,995, the Ford EcoSport delivers a lackluster performance with a hum-drum EcoBoost® engine, a basic 4.2-inch Ford SYNC® LCD display and standard features that leave a lot to be desired. Under the hood, the 2019 Toyota C-HR plays host to a 144-horsepower 2.0-liter four-cylinder engine that manufactures 139 pound-feet of torque. Married to a Continuously Variable Transmission with intelligence and Shift Modes, the Toyota C-HR earns an impressive 27 mpg in the city and 31 mpg on the highway. When you switch to Sport Mode, the CVT transmission simulates a 7-speed Sequential Shiftmatic transmission to increase responsiveness. Ford EcoSport entries counter with a standard 123-horsepower 1.0-liter EcoBoost® three-cylinder engine that is paired with a six-speed automatic transmission to make a disappointing 27 mpg in the city and 29 mpg on the highway. 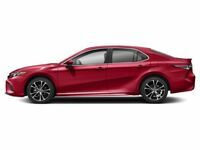 Drivers who want more power will sacrifice fuel economy with an upgrade to the 166-horsepower 2.0-liter four-cylinder engine that is paired with a six-speed automatic transmission and Intelligent AWD. Technology is a highlight of the next-generation Toyota C-HR and will cater to your automotive needs. All Toyota C-HR trim levels come standard with Toyota Safety Sense™ P collision-prevention systems that include a Pre-Collision System with Pedestrian Detection, Lane Departure Alert with Steering Assist, Automatic High Beams and Dynamic Radar Cruise Control. Upper trim levels will upgrade your day-to-day commute with available Blind Spot Monitoring with Rear Cross-Traffic Alert, Toyota Smart Key technology, premium leather interior, an onboard Wi-Fi hotspot, heated front seats, a navigation system and Toyota Remote Connect capabilities. Visit Downeast Toyota today to get behind the wheel of the 2019 Toyota C-HR!